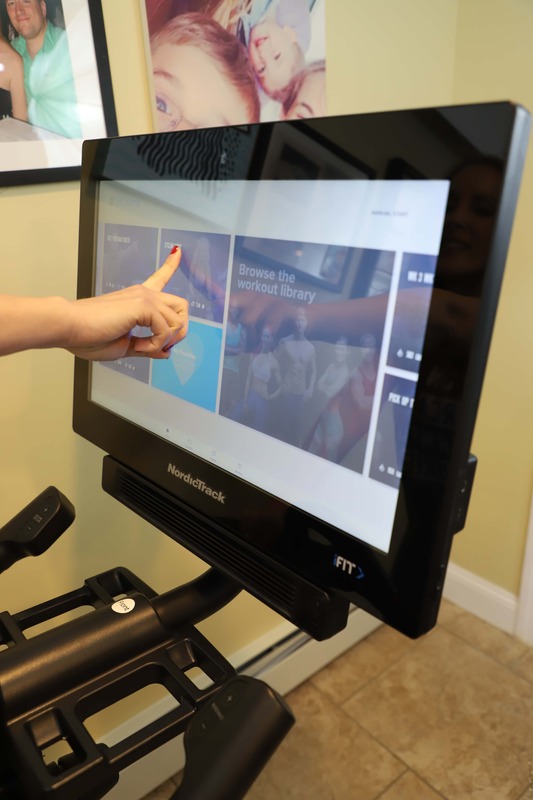 Cancel your gym membership right now because the NordicTrack Studio Cycle is everything that you are looking for in a workout and more. Not only can you participate in a live class, choose from over 15,000 workouts and connect to over 40 personal trainers, but you can do it from the comforts of your own home. Don’t you just love that? 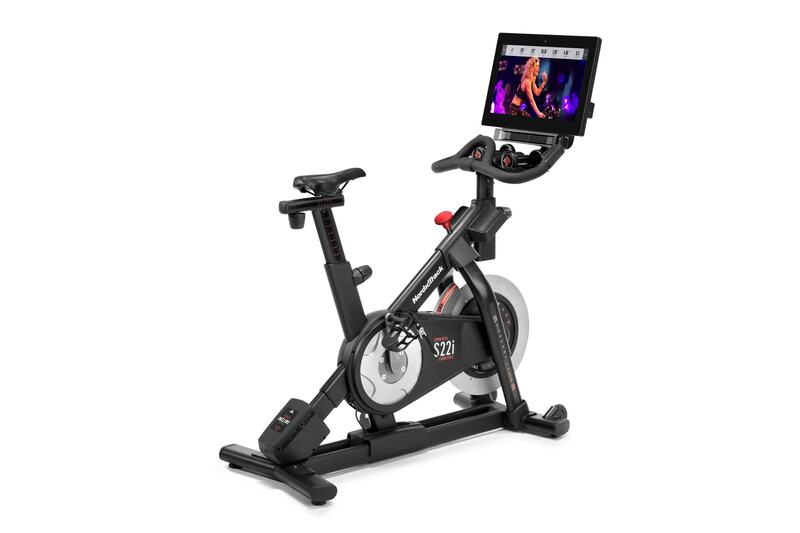 Where can you get the NordicTrack Studio Cycle? Best Buy! 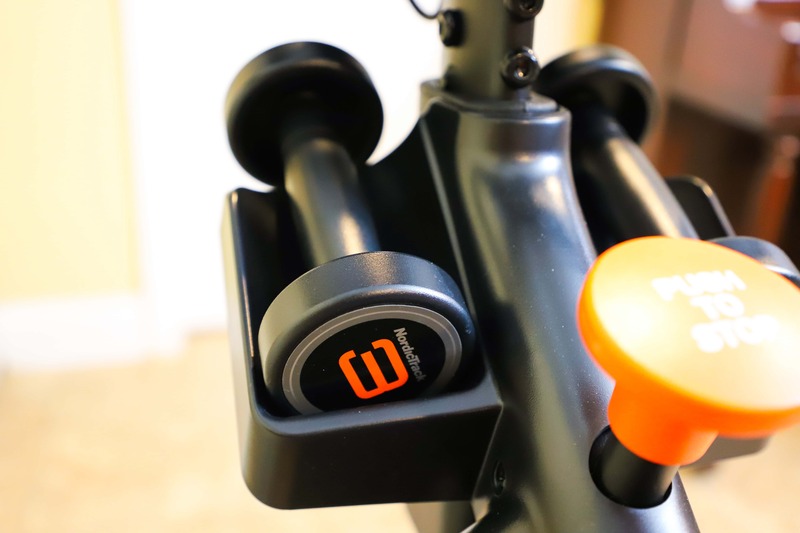 And not only can you head to the store right now to get this full body workout bike, but you can actually set up delivery and installation as well. 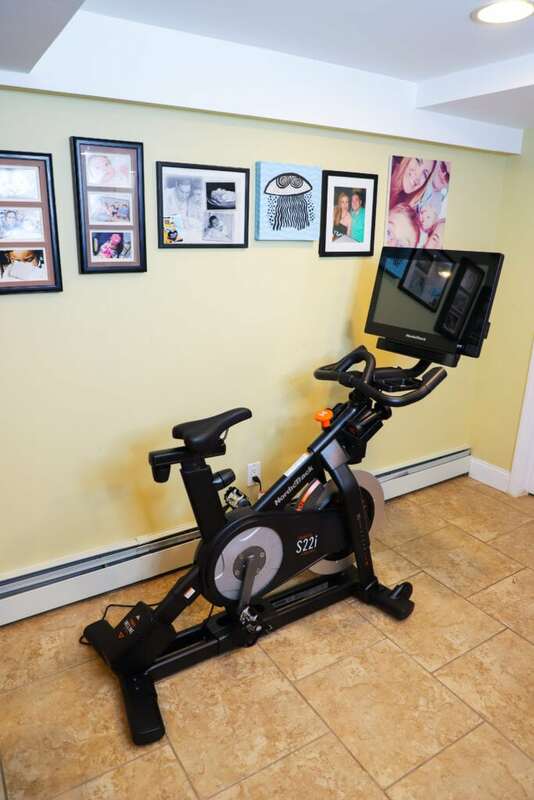 If you are passionate about healthy living or looking for a way to just get started into a new routine, this stationary bike is for you. 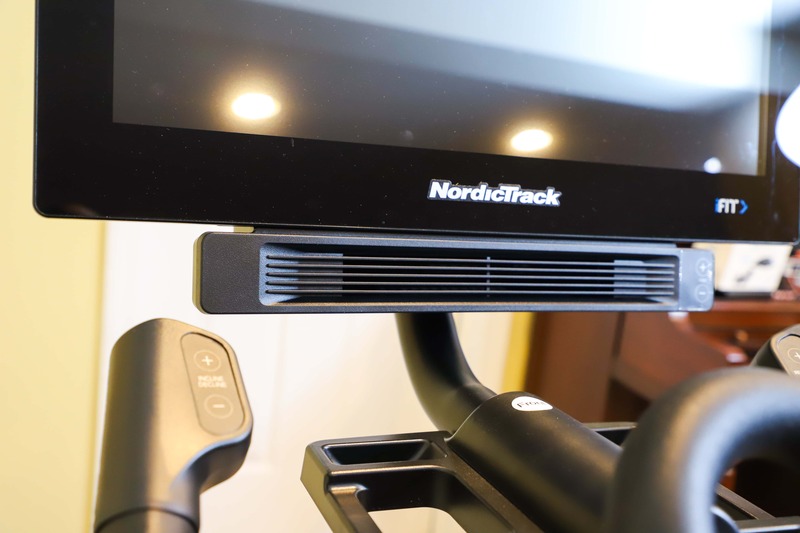 The NordicTrack Studio Cycle is more than your standard bike because it isn’t just about the equipment. It doesn’t just rely on you to get on the machine and go. Don’t get me wrong, you will have to do the majority of the work. Exercise isn’t easy… but this tool will make it a bit more fun. The live classes are truly where it is AT! But we will get to those in a bit. And DON’T WORRY because the iFit coach platform – if purchased at Best Buy – comes free with a one-year subscription. WOOT! So, you will get to truly take advantage of those classes without having to worry about incurring an extra cost right out of the gate. What are you waiting for? I am a work at home mom. I have three kids. I could never find the time to make it to the gym. In fact, I usually would find myself watching some friends on Instagram stories getting their workouts in and being absolutely envious about the whole thing. I just could never seem to grab an hour or two to get it all together. Getting ready, getting into my car, driving to the gym, making it in time for a particular class, squeezing it in between conference calls and deadlines and after school pick ups …. DAUNTING. I am not a gym person. I really WANT TO BE IN MY SOUL OF SOULS. I want to be that woman who wakes up in the morning before everyone else and squeezes in a workout. GOSH, doesn’t that sound awesome? But I just can’t seem to become her. Well, I don’t need to make excuses anymore because I don’t need to make gym excuses. I have this incredible bike in my basement and while it’s not the most glamorous of settings, it WORKS. I can take a live class if that works out for my schedule or I can just catch up with my favorite Netflix show. Either is alright by me – as long as I am moving. 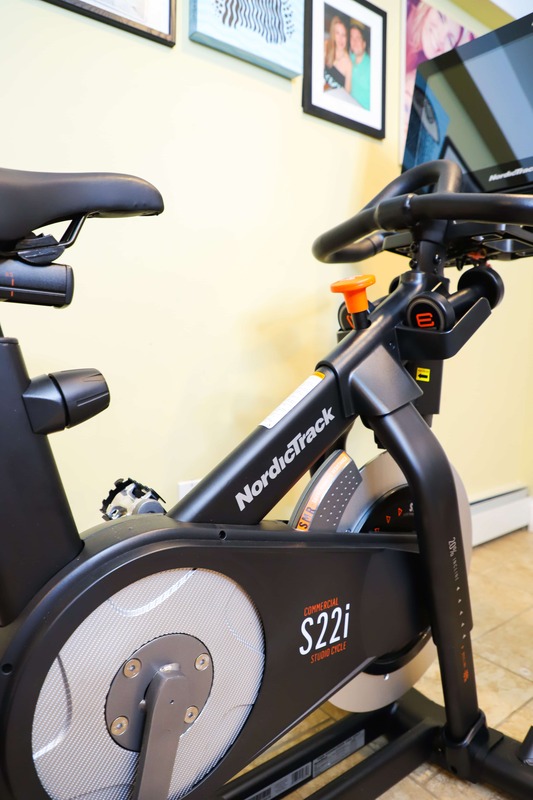 The NordicTrack S22i Studio Cycle comes with on-demand streaming iFit Coach content that takes the boredom out of my workout. The equipment is enabled with the iFit coach platform. And like I mentioned above, if you purchase your bike at Best Buy, iFit comes free with a one-year subscription. What a bonus!! There are over 15,000 workouts from over 40 elite personal trainers. These workouts are all held in-studio and from locations all over the world. How exciting, right? And they really do work with you. Trainers lead me through the workout and auto-adjust my machine. So, while you are in a groove… all of a sudden things start to adjust and BOOM – it gets a bit harder. These slight changes keep me motivated and on track to meet my goals. And let’s be honest – if I didn’t have the bike working FOR ME, I might slack a little in my basement. Am I right? Let’s just keep it real, here. We all don’t have the best of days and there are those times when I sort of phone things in. The bike acts as a FRIEND that is biking along next to you saying, “keep up!”. HA! I love that. The iFit Coach also helps me manage my health post-workout as well. If you have an activity tracker, the coach can actually synch up and share data and provide a more holistic wellness plan after gaining access to the rest of my daily activities and sleep patterns. iFit Coach can also provide nutritional tips and recipes based on my activity and the goals I set for myself. Technology, huh!? It’s so wild what the NordicTrack Studio Cycle (S22i) and iFit Coach can do together. I just love where we are right now!! Be sure to visit bestbuy.com/fitness to learn more about the NordicTrack Studio S22i. You will want to act fast because there is a special offer that’s live at Best Buy. Leverage 24mo deferred interest financing and 1 year of included iFit coaching subscription ($396 value). And don’t forget, when you purchase this exercise equipment from Best Buy, you have the option to have them do the installation for you. Spoiler alert: they are going to do it for you because why on EARTH would you want to attempt to do this on your own? Cutting boards are an important asset to your kitchen. of hot water and then rubbing it on the scuffed spots with a soft wash rag. This should help repair your cutting board for quite a few more uses. Installing a bar within a home’s basement is a popular and enjoyable form of home improvement. doing. However, if are likely to is that will build the bar, it can improve family home energy kit. likely to build up a wider plus more ! carefully chosen array of possibilities. This notebook in order to be compiled some time before you actually begin your renovations in reducing your hardship. as for. Is it to buy a family room, laundry room, bedrooms, workshop, etc? 1 of that choice has their very own particular flooring needs. You can increase your home’s value by re-finishing the hardwood flooring. It’s not really hard to refinish floors, but normally it takes quite certain time and energy. you thousands of dollars your cost that are of a new environment. save money and add security electrical energy motion detecting lights. These lights consume less energy by switching on only in the presence of community. presence is highlighted once the lights flick on. Not only does full-scale remodeling cost a lot of money, is actually very often unessential. dramatic change as look of the home with only several basic application submissions.